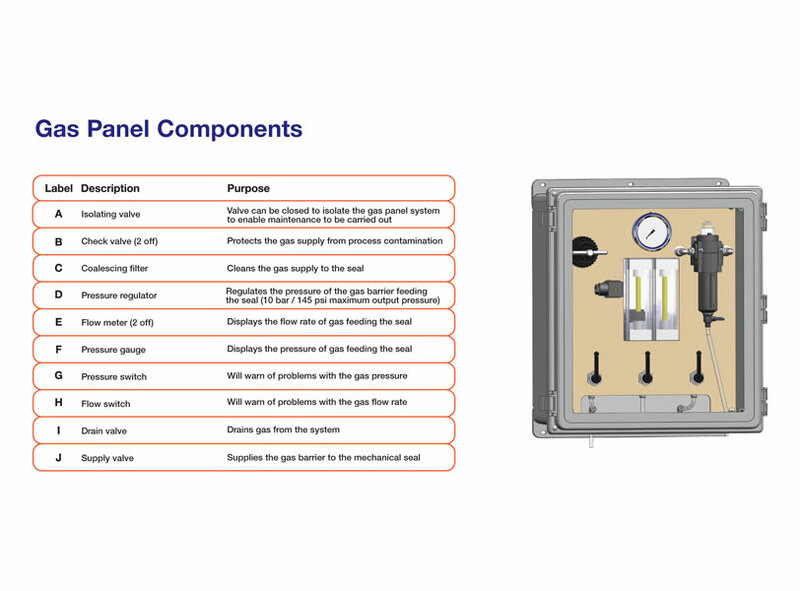 The Gas Panel System is designed to supply inert gas (e.g. Air or Nitrogen) to mechanical seals on processes that cannot tolerate contamination by water or oil barrier fluids (e.g. mixer applications). The self contained system has a maximum inlet pressure of 14 bar / 203 psi and a maximum outlet pressure of 10 bar / 145 psi enabling it to be used on a wide range of applications. The modular design also allows the incorporation of a number of optional extras.